Olympia Middle School will present the musical Disney’s Mulan, Jr. on Thursday, January 31, at 4:00 PM; Friday, February 1, at 7:00 PM; and Saturday, February 2, at 7:00 PM. Tickets can be reserved by calling Wendy Wade at (309) 379-5941, ext. 8330. The show follows the story of a young girl, Mulan (Julia Collins), who longs for more than the traditional life of a wife and mother, as she runs away to join the Chinese army to save her father’s life (Jayson Michel). Guided along the way by her family’s dragon mascot, Mushu (Michael Bagby), who is sent by the Ancestors (Anna Kindred, Grace Birkey, Brooklynn Streenz, Ava Brown, and Kylie Britt) to help bring Mulan back home. 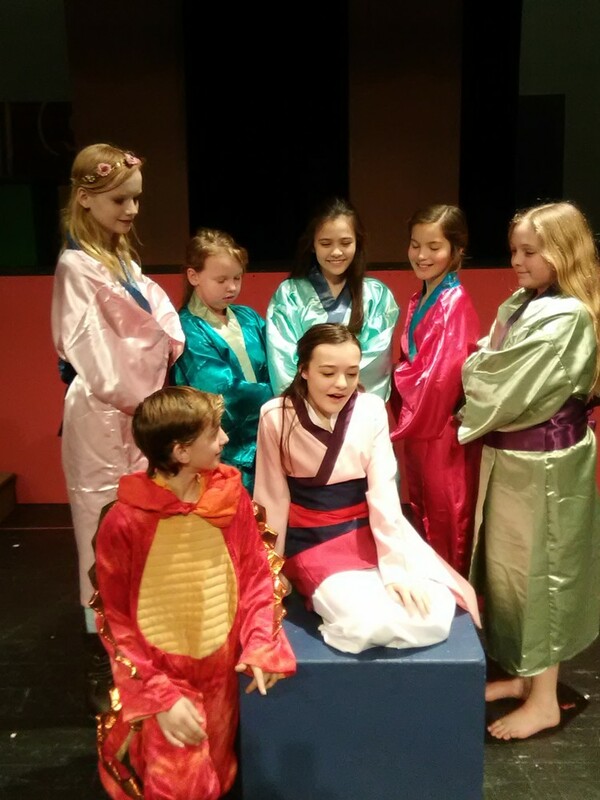 Along the way, Mulan makes new friends: Yao (Taylor Frye), Ling (Emma Cook and Kaitlynn Whitecotton), and Qian-Po (Gavin Smith) and meets Captain Shang (Cayden Clark) as they fight to drive back the Huns and save China. Musical highlights include “Reflection,” “I’ll Make a Man Out of You,” and “A Girl Worth Fighting For.” This musical is based upon the Oscar-nominated Disney movie and includes several songs that were cut from the original film. Direction is by Wendy Wade, with vocal direction by Brenda Johnson. Costuming is handled by Heather Schwarting, while Ron Wade directs the tech. For more information, contact Olympia Middle School at (309) 379-5941, ext. 8330.